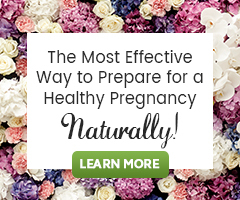 I’m going to let you in on a little secret about natural health and fertility… these fertility lifestyle changes work because they support the whole body. A lot of times when trying to “fix” something in the body we tend to segment it and focus only on the “symptoms” or problems occurring. When it comes to true healing, health and fertility, we cannot look at the body like that anymore. Especially when it comes to fertility! There are so many systems, feedback loops, hormonal signals, and organs that all have to work together, that “treating” one symptom is not the most effective approach. In holistic fertility health, we focus on the entire body with a rounded, all-inclusive approach. For instance, with adding the lifestyle changes below and specific supplements or herbs for your individual situation, the body is able to heal itself and function as it should when in a healthy state. Now that you understand how holistic fertility health works here are the 6 things every woman who is preparing for pregnancy and trying to conceive should do. Note: If you are experiencing specific fertility issues you may also want to add specific herbs and supplements to get the best results for your personal situation. Consider the suggestions below as a foundation to build your natural fertility program upon. “There is no question whatever about the fact that we are exactly what we eat. There is no other way in which the cells and tissues of our body can be replenished, except from what we eat and drink, and REPLENISHMENT is the great law of life.” ~Dr. Norman Walker, D. Sc. First and foremost, diet is the most important first step in moving towards a healthy fertility lifestyle. As Norman Walker stated in the quote above – everything we eat makes up our cells and tissues of our body. This includes our ova (eggs), ovaries, uterus, hormones, baby… etc. 1. Find a massage therapist that specializes in fertility and uterine massage. 2. Learn how to do Self Fertility Massage through DVD. Both are very effective and feel wonderful, it just depends on your budget and if you live near a therapist. For the best results, fertility massage should be done regularly. Do not do Self Fertility Massage or receive uterine massage while you are menstruating or if you think you may be pregnant. The mind is a powerful tool… one you should be using daily to support your fertility journey. Science has shown that thoughts and emotions have an effect on the physical body; this includes fertility. We also know that stress can have an effect on fertility as well. How can any woman expect to invite a new life in and expect it to stay if she doesn’t believe her first home for her baby [her body] is a fabulous place to be? Danish researchers concluded in a 2015 meta-analysis of 39 studies including 2746 men and women that “psychosocial interventions for couples in treatment for infertility, in particular CBT [cognitive behavioral therapy], could be efficacious, both in reducing psychological distress and in improving clinical pregnancy rates.” The studies assessed the benefit of CBT and various mind-body interventions for those with infertility stress, symptoms of depression, anxiety, or who were struggling in their marriage, as well as how they influenced pregnancy rates. One of the most powerful tools that I used on a weekly basis in my life is EFT. EFT is a technique similar to self-acupressure (without the needles), which can be quickly used on both mental and physical problems. Are you feeling stressed out about something? Are you emotional because of PMS? Are you feeling pain from cramps? Are you nervous about getting pregnant or stressed out that it hasn’t happened yet? Use EFT on it. EFT is a great technique (a very simple tapping technique) that can be used in any situation, at any place and any time. For example… I used to have a fear of flying in planes. After learning about EFT during a Natural Fertility Coaching call I hosted, I used EFT when we were flying to see family. I used it before getting to the airport & during take-off. I am now not afraid of flying anymore! From then on my husband and I have used it on so many things and get great results. This is a great tool to use during your fertility journey to help make it a more enjoyable experience. In addition to a healthy fertility diet, every woman who is preparing for pregnancy should be taking a whole food prenatal multivitamin. There are many nutrients that are needed to support ovulation, hormonal balance, egg health, etc., and a deficiency can result in lack of ovulation, poor egg health, and many other fertility issues. Did you know that anemia (low iron, B12, B6) can cause ovulation to stop? Indian researchers have found that “women who do not get sufficient amounts of iron may suffer anovulation (lack of ovulation) and possibly poor egg health…” according to one 2014 report in the International Journal of Current Research and Academic Review. Did you know that the period of time that it is most important for the fetus to get folic acid, is before you will even know you are pregnant? Did you know that most Americans are deficient in Zinc, an important mineral for fertility? Did you know that vitamin C helps to improve hormonal levels and increases fertility in women with luteal phase defect? When people ask me what the one biggest dietary change someone can make when trying to boost their fertility, I have to say it is juicing and smoothies. Liquid nutrition makes it so much easier to get a large amount of these nutrient-dense foods into your body. Regardless of what your diet is like right now, juicing can help to make you healthier, reducing cravings for other foods and making you feel fabulous. Smoothies and juices are an incredibly easy way to get a large number of antioxidants (good for egg health and DNA integrity), vitamins, minerals, and enzymes. They are easy to make, can be taken on the go, and taste great. In the body our cells are constantly dying and being created over and over again. Everything in the body is made up of cells. The uterus, blood, fallopian tubes, eggs, and ovaries are made from cells. When our body is creating these cells, it is pulling from the foods that you eat for its building blocks. If you are eating fresh whole foods, then your body is going to have the ingredients it needs to produce healthy, vibrant cells. If you are eating processed foods, processed sugars, and chemicals, that is what your body has to work with and you will not be able to build healthy cells. Fertility smoothies and juicing help to make it easy. After reading this article I hope you now have a clearer idea of how to live a healthy fertility lifestyle. While this list is not all-inclusive I did include the 6 things I feel are most important and effective in creating a healthy fertile body. Please share your thoughts and experiences with making shifts in your fertility lifestyle to a healthier one below. Walker, N. W. (2009). Become younger: Tune your mind and body. Boise, ID: Norwalk. After I lost my baby due to Preeclampsia, I had IUD placed but removed it after 6months. Its been and year and I am facing irregular periods. We are TTC. All labs are normal. Just started on Vitex. I work out and watch diet too. Hope it helps. Do you have any suggestions for me? I am so sorry! Vitex is great! Do it allow it time to be effective while you work on eating a whole food, nutritious diet, exercising regularly and perhaps some of the tips from our guide Fertility Tip: How to Enhance Fertility After IUD Removal. I have been trying to get pregnant for 15 months, with no luck. I am a life long vegetarian with high levels of Vit B in my annual bloodwork results. I started seeing a Korean acupuncturist recently that told me I had a very acidic constitution and drastically changed my diet (8 constitutional diet). I have eliminated all acidic veggies and most fruit, leaving me with a very bland diet. I will say I feel better (no bloat, less anxiety) but curious if you know anything about a predominantly alkaline diet for fertility? Thank you! Support Hormone Balance Naturally with 3 Simple Tips and about the entire Fertility Diet here… It is not aligned with diet according to Traditional Chinese Medicine however, so the suggestions made to you by your practitioner may vary. I am glad you feel better! i have active motile 20% sluggish 20% and 60 no motile. We have a wonderful guide to review filled with information about diet and lifestyle tips and supplements known to support sperm motility to consider. It is our guide to Increasing Low Sperm Count and Improving Male Fertility…. You may also appreciate learning about lifestyle factors linked to male infertility. I just got results that I’m not producing enough eggs as a normal 24yo female should. My partner and I have been trying to get pregnant for 3 years now and no luck. Anybody have any ideas on what I should do to increase my fertility? Know that it is also important to take into consideration, along with test results, diet and lifestyle, stress levels, etc. 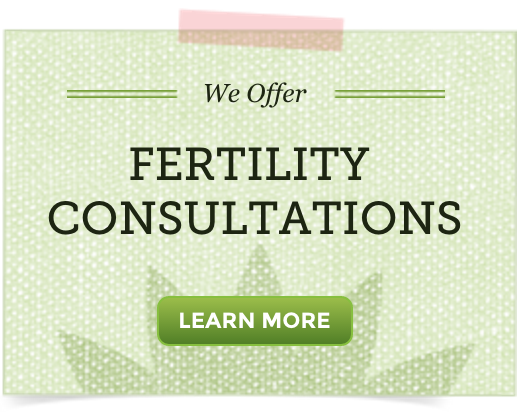 If you would like help in creating the best natural fertility program focusing on ovarian function and egg health, we offer one on one support through a Fertility Consultation. We have combined in the FallopianWise Fertility Kit herbs, supplements and natural therapies to support normal fallopian tube health. This kit contains enzyme therapy, herbal therapy, castor oil therapy and Self Fertility Massage to support the body’s natural inflammation and immune response, encourage healthy circulation to the fallopian tubes and reproductive system, while promoting the body’s natural ability to cleanse the reproductive system in part by aiding the breakdown of fibrin (bands of scar-like tissue). Fallopian tubes that are severely damaged need special care. In those cases we would suggest you work with a specialist. A specialist will be able to evaluate your unique situation and determine the best possible course of care. Clear Passage Physical Therapy Clinics are a great option for those who do not want surgery. It is important to recognize that the fallopian tubes are about the size of a spaghetti noodle in width and are very delicate. Any sort of trauma can alter their function and damage the tubal tissues. Once they are damaged it may be difficult to reverse that damage. The good news is that the natural therapies in the FallopianWise Kit can be used alone, or alongside any type of treatment options you are considering, which may greatly help to improve outcome. after havn 2 miscarriages i did a lap surgery an i was told that my left tube was blocked since then i was tryn to conceive but failed i even did artificial insemination anyway do u think using the fertility clense wil help me conceive? sorry for the late response, but thank you so much for the in depth reply. it really makes a lot of sense. I didn’t know about isolates. i will take a look at the links u posted and re-consider spending the money. ahh…if only trying to cure infertility wasn’t so darned expensive!! Hi there, quick question about multi-vitamins. The fertility ones are sooooo expensive and with all the supplements I take, plus acupuncture every month, I cannot afford the $40-50+ a month for these multi’s. Currently I use Ultra Woman from Vitamin World. Is that considered a “whole food” vitamin? How can I tell? Also, most of the multi-vitamins have both iron AND calcium in them, but I hear that calcium inhibits the absorption of iron when taken together, so do I need to take a separate iron supplement as well? Will this be too much iron if the multi’s already have 18mg, which is the RDA? Ultra Woman is not a wholefood mulitvitamin. The label would say that it is and you can see on this products label that it is not. Whole food multivitamins start off as nutrient isolates. The nutrient isolates are then cultured in a base of fruits, vegetables and herbs with Lactobacillus bulgaricus, Streptococcus thermophilus and Saccharomyces cerevisiae; a catalyst in which to make them easily identifiable and digested as a food source by the body. Because our multivitamins are recognized as food, your body absorbs 100% of them and the calcium is not going to cancel out the iron. Calcium and Iron are naturally occuring in many foods, but that does not mean that each time you eat a calcium rich food like spinach that it is not also rich in iron, do the nutrients in spinach cancel eachother out? I don’t think so, but it some studies using isolates of iron and calcium supplements they have shown that it can happen. Your body can breakdown and utilize foods, isolates are harder because your body often does not recognize them, isolates are also much harder for your body to dissolve.